Remember that logo with the happy little guy that was one of several logos featured in Filly Funtasia promos 1, 3 and 4? Unfortunately, it seems the company behind it is now defunct. Screen21 was an animation studio based in Barcelona which worked on BRB's various 3DCGI projects. 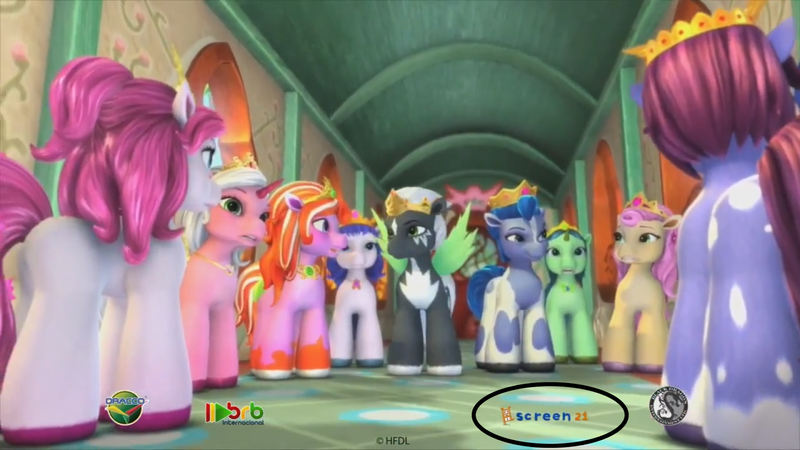 The corporate structure of the companies that have worked on Filly Funtasia is a bit hard to fully comprehend, but from what I understand it, Screen21 was a subsidiary of BRB Internacional.